A dog scratched a door to pieces when his owner left him alone for three hours. 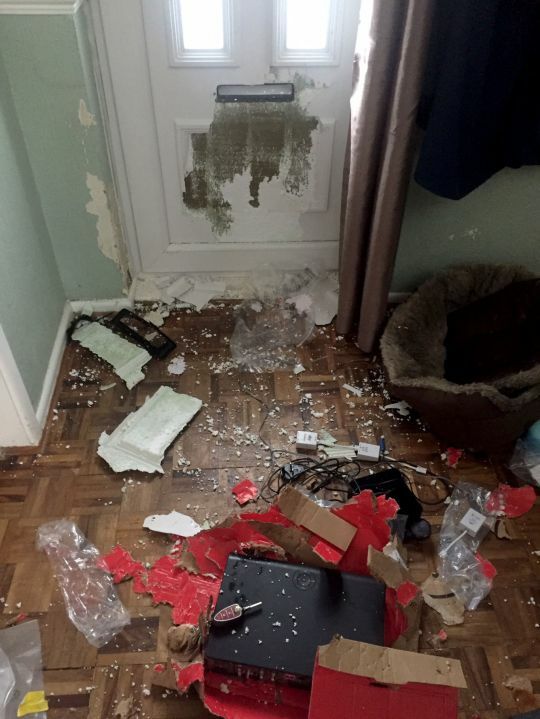 Tara Jameson returned home from a friend’s wedding rehearsal to discover that her dog Bobbie had chewed his way through the front door of her mum’s Teesside, Newcastle, home. 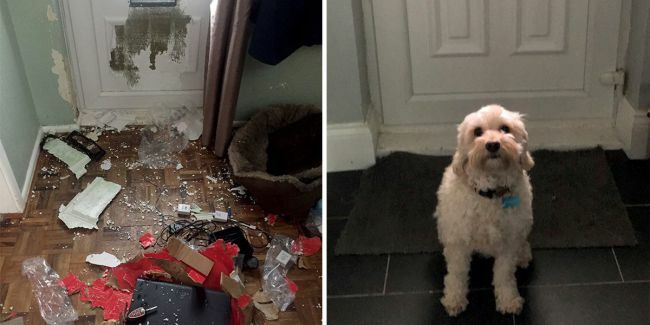 Before and after pictures show the £1,500 worth of damage caused by the four-year-old cockapoo. The 29-year-old even left Bobbie a bed and a box full of toys to play with that he never touched. Tara said: ‘He has scratched his nails against the door so much they had gone into a point and he was soaking wet with sweat. I felt so sorry for him.’ The postal worker said the ‘jealous’ dog went through a ‘destructive phase’ after her mum’s dog died but was shocked by the level of destruction. Tara said Bobbie missed their other dog so much she even took him to a dog therapist. She said: ‘Bobbie went through a phase where he became quite destructive when he was left and I even got a dog therapist to try and help. ‘I moved in with my mum and a few days before we sadly lost our old dog. He loved her so much and really missed her.